Sueo Mizuma, a leading promoter in Japanese contemporary art market development. In 1994, when Mizuma Art Gallery (Mizuma) is founded in Tokyo, the art collector Mr. Mizuma became a gallery owner. The Gallery endeavours to discover and promote contemporary artists from Japan and Asia, among them Makoto AIDA, Tomoko KONOIKE and Koji TANADA. Since 2000, Mizuma has been proactively participating in international art fairs. Mizuma’s booth could be easily found in several important and well-known art fairs such as Frieze London, The Armory Show and Art Basel Miami. In 2008, Mizuma & One Gallery opened in Caochangdi district in Beijing, and Mizuma’s new gallery in Singapore will launch soon this September. 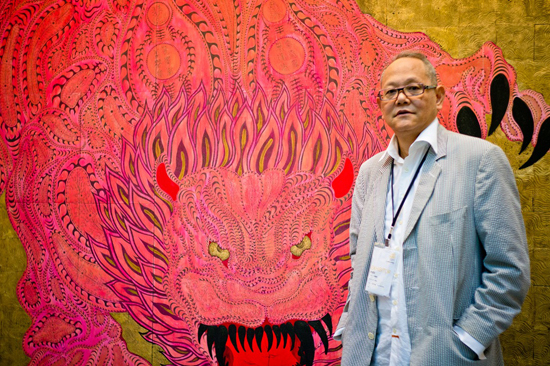 In this interview, Mr. Mizuma provides his comprehensive overview of changes and current status of Japanese and Asian art market.